It feels like I know Google very well but the fact is I barely scratched the surface when it comes down to using all the cool features in this ubiquitous search tool. I am sure I am not alone. So for anyone who feels like they could squeeze a little more utility out of Google search, this quick list may be for you. 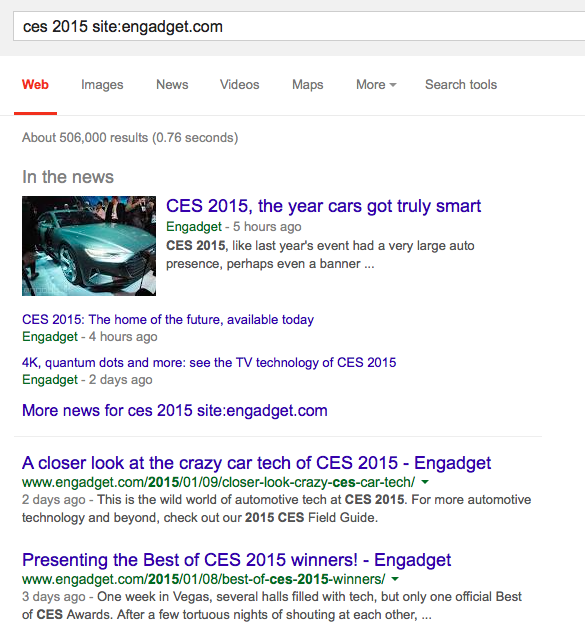 Say you want to find all the articles about CES 2015 at engadget.com. 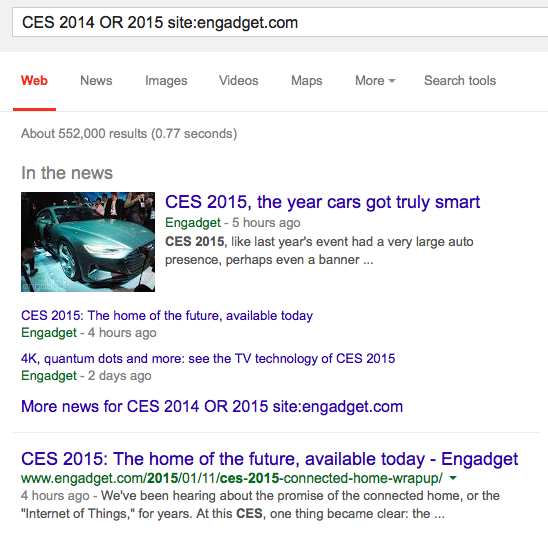 You should format your search query like this: ces 2015 site:engadget.com. Some websites have horrible search function. 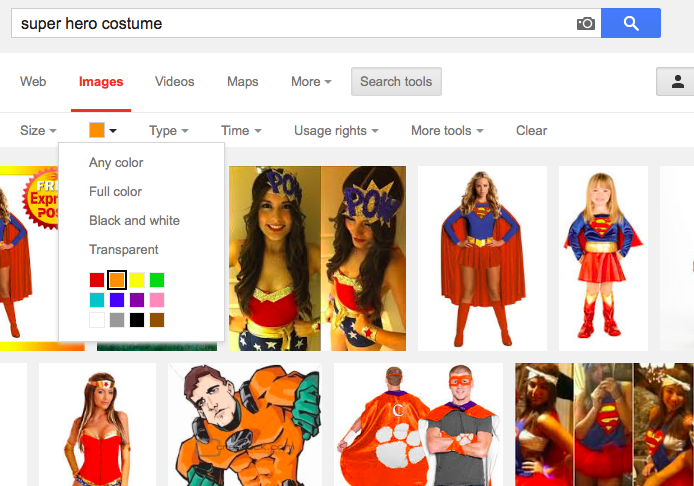 This will help you find what you were looking for much faster. 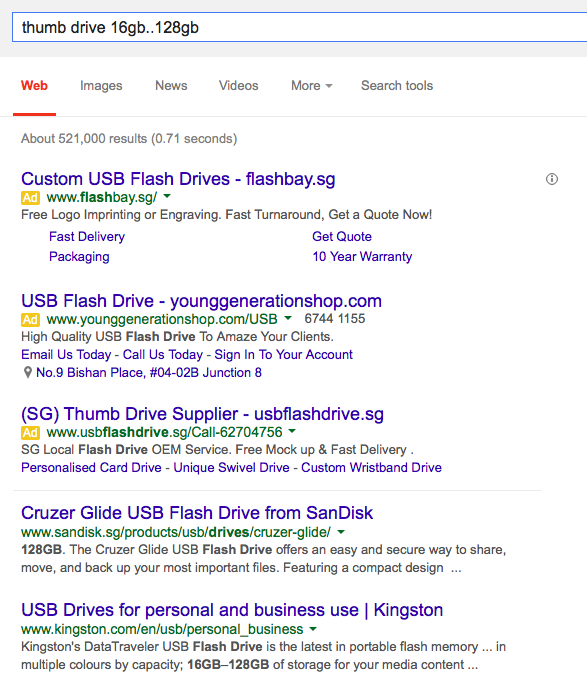 You can also narrow it down to top-level domain like .gov, .edu and country codes like .sg for example. Say you want to look for all the PDF documents for a particular product. You should type your the following search query: Product ABC filetype:pdf. This works for file type like doc, csv, xls etc. On a Mac, you can quickly find a definition by triple-finger tap on a selected word. 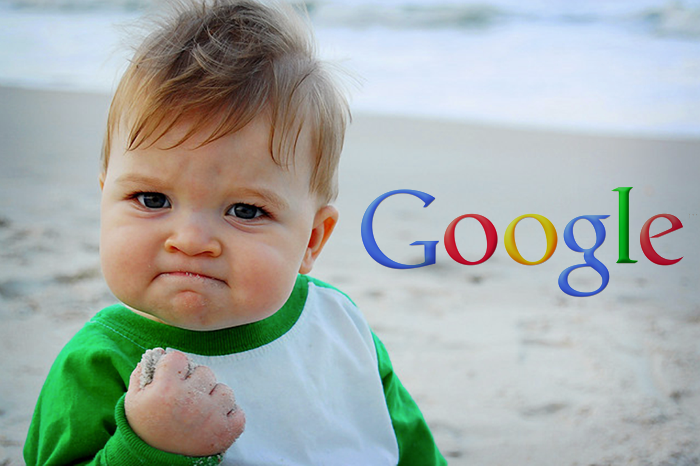 On Google search you can also get definition quickly by typing define:word or simply “define word”. 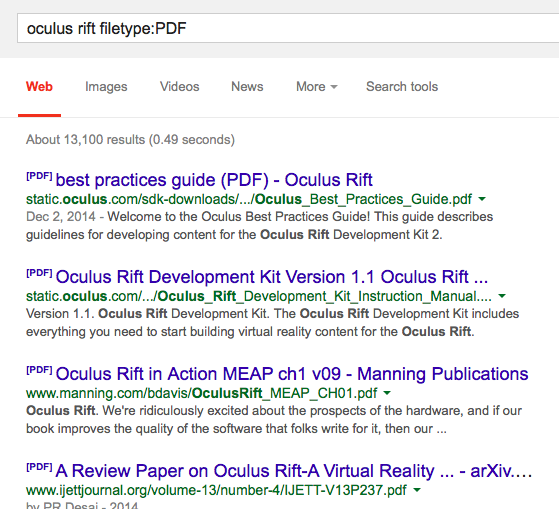 You can file webpages with specific words in their title by using intitle:word. If you are searching for a phrase and you only know part of it, you can use a wildcard operator *. An example would be searching for “Rising * lifts all *”. This should return the aphorism “Rising tide lifts all boats”. Excluding certain words. 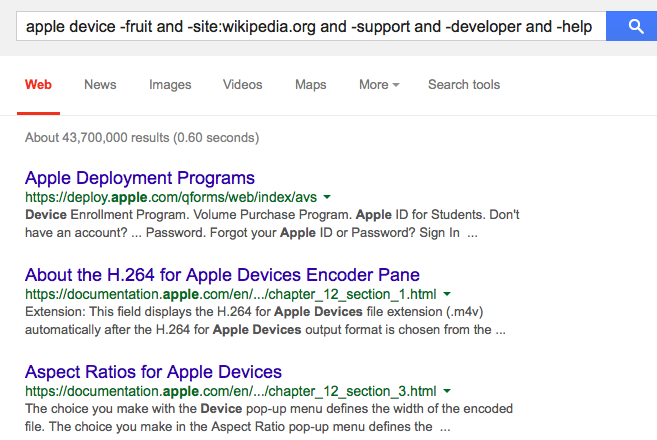 Say you are searching for Apple products but do not want results about the red fruit, apple the music label or anything from wikipedia, you can use this query “ Apple devices -fruit and -music -site:wikipedia.org”. As you may already have found out, Google allows you to search using normal conversational style queries like “What is weather like in Singapore?” or “Capital of Singapore” or “Convert 100F to C”. Other common ones include movie time, local time and language translations. 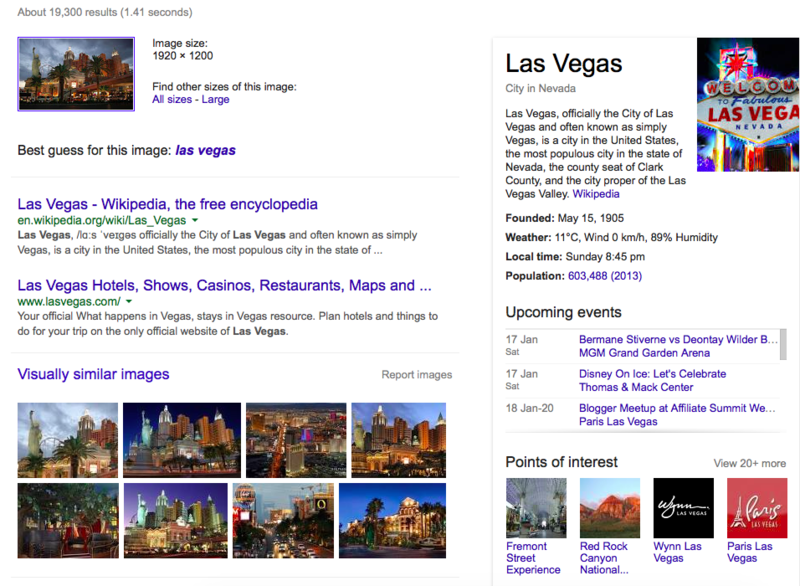 This allows you to quickly discover the origin of a photo or other websites that have used the same image. Sometimes finding other similar photos may expose who the original photographer or uploader was. finding what it actually is. This is a fun one. This is like Shazam but for obscure items. 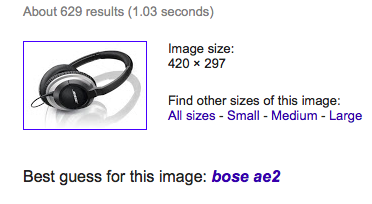 Take a picture of the item on a white background and upload to Google image search. You should find out what it is in no time. This is a quick way for you to discover other colors for a product or how popular certain colors are. On its own it may not be too useful but think of it as a filter for your search and you can quickly see how it might help you drill down to very specific results.